The life of children growing up in wartime Britain was far more basic and self-sufficient than that of today’s young generation. 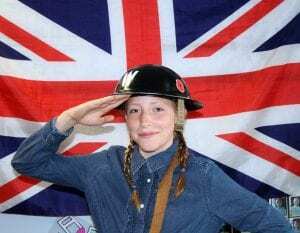 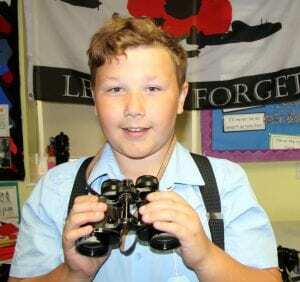 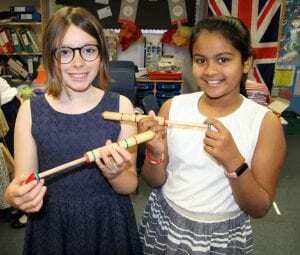 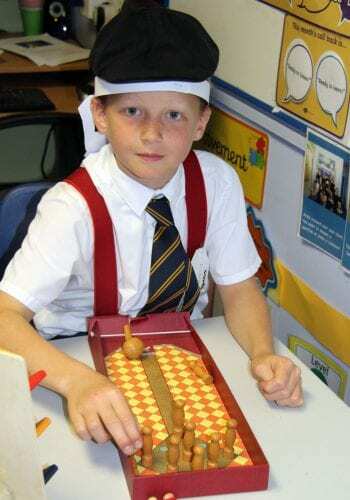 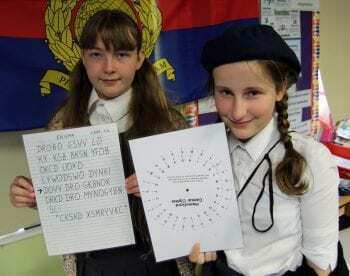 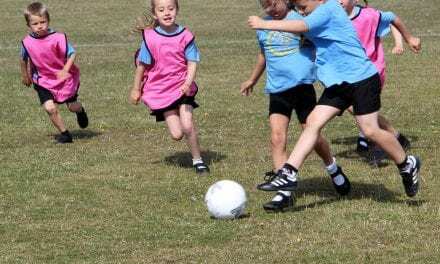 The stark contrasts have been experienced by Year 6 pupils at Upton Junior School in Broadstairs in a series of hands-on workshops to start their World War 2 topic that will run until the end of the summer term. 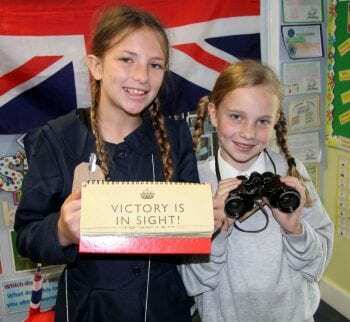 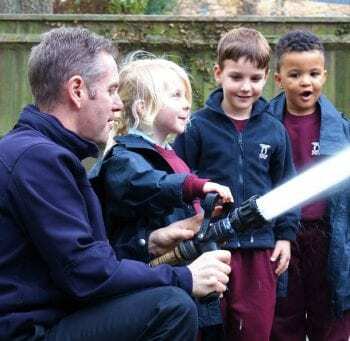 A treasure trove of artefacts and memorabilia from the crucial period in Britain’s history transformed a classroom as children stepped back in time, guided by ‘ARP (Air Raid Patrol) warden’ Peter O’Sullivan in full civil defence uniform complete with tin safety helmet, whistle and First Aid kit. 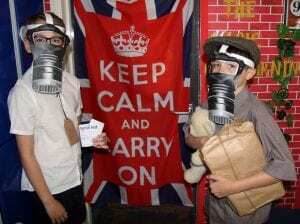 In a stark reminder of yesteryear, many pupils dressed as evacuees with name and information tags on their clothes, clutching their favourite toys, belongings, and gas mask replicas they made from card to complete their wartime outfits. 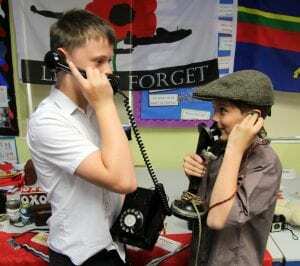 The wartime classroom walls were draped with patriotic flags and posters urging everyone to support the war effort, while pupils explored a range of different wartime experiences. They tried their skills at cracking encrypted messages using Caesar code wheels and brass rubbings. 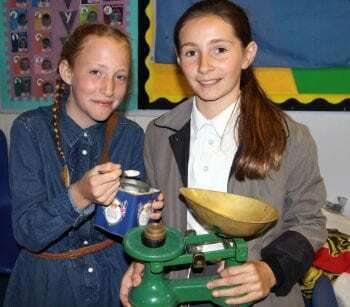 A kitchen area taught them about how scarce food was in the war years and they learnt about rationing supplies using scales and weights to divide out meagre portions from scarce foodstuffs. 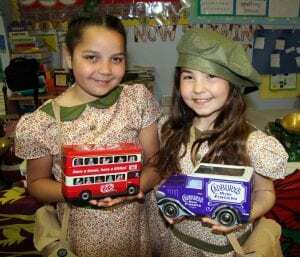 Tins and packets from a bygone era helped add to the realism. A collection of simple yet ingenious wooden toys, old comics and books were a huge contrast to computer graphic games and films on smart phones and computer tablets. 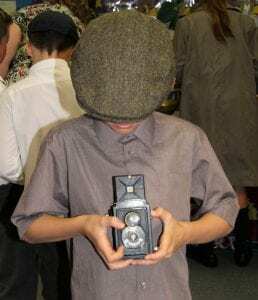 The communication theme was further underlined as pupils handled Bakelite candlestick phones, box cameras and field glasses. 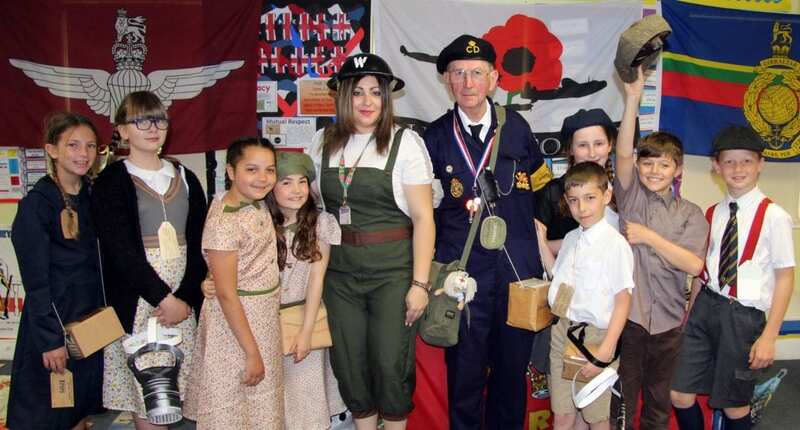 Retired primary school teacher Mr O’Sullivan curates the event as part of his fascination with 20th Century history. He believes it is important for children today to experience just a little taste of what life was like for boys and girls and families in World War 2. 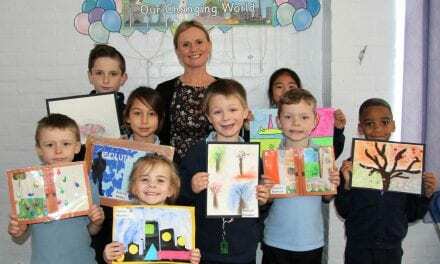 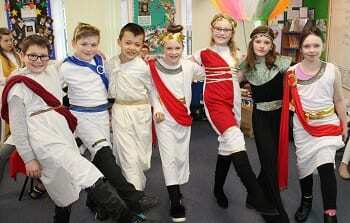 Thank you, Upton Junior School for this fascinating article. 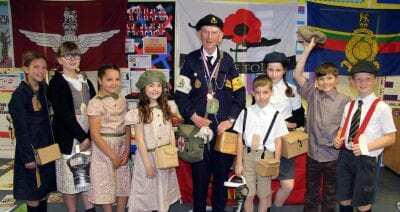 What a wonderful and important lesson for Mr O’Sullivan to deliver and one we should never forget.